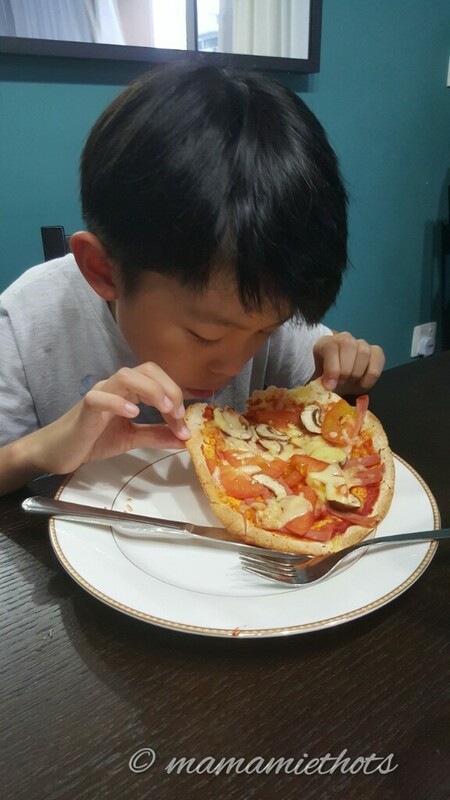 Our family loves to eat pizzas, especially those thin crusted pizzas. Dining out as a family at most pizza restaurants can easily cost us around $60-$80 per meal. That's because the kids' appetites are so good when it comes to the food that they love. It just so happened that my cooking mood was super on, I decided to gather a few ingredients for the pizza making session with the kids. 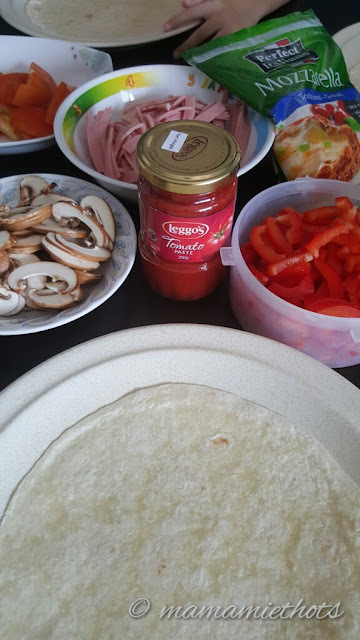 We bought wraps (okay I cheated a little coz I did not make the base from scratch), mushrooms, shredded mozzarella cheese, hams, tomatoes, capsicums, tomato paste, smoked salmons and etc. Washed and sliced all the ingredients. 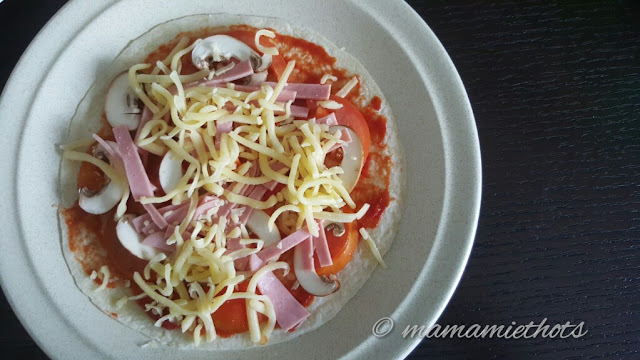 Let the kids put any ingredients they liked on the wrap. 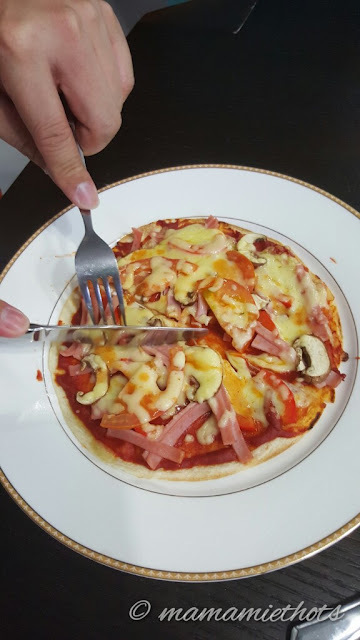 I put them into the oven and within 15 minutes the pizzas were ready for consumption. They were enjoying the fruits of their labour. Hb also gave me a thumb up for the yummy pizzas!